The ‘People v. O.J. Simpson’ star discusses his role in FX’s highly acclaimed series, recalls his ‘elation’ over the Simpson murder trial verdict and opens up about the Oscar diversity controversy. “I was elated. I was with Tony Goldwyn and we were in his trailer or in his apartment and I screamed ‘Yes!’ and he screamed ‘No!’ and then we looked at each other like ‘what just happened?’” - Courtney B. Vance on his reaction to the final verdict of the OJ Simpson case. “We have lot of trouble today. We have a lot of things that we’re dealing with and this is a potential opportunity for us to strike a blow to the police brutality and things that are happening. All policemen are not bad. When something happens and something goes down, they’re the first person you think about calling.” - Courtney B. Vance on the show’s relevance with current issues. “It’s something that we can look at and I think when certain people go so far over the edge, we want to know why. We want to know why and what happens in that mind that creates a Charles Manson and an OJ Simpson. What happens to a person that allows them to go from a little wonderful baby boy or girl to someone that could do something that we go, ‘That’s terrible. How could they? Why would they?’…We’ve all gone there but we’ve pulled ourselves back - Courtney B. Vance on our fascination with crime. “I think that’s part of what made him special. That he knew both sides and he knew people’s pain from seeing the first hand-- the police brutality cases that he cut his teeth on back when the mayor’s office was funneling—Tom Bradley was one of his frat brothers, so he got a lot of cases that came his way. He knew there was a real problem with the police and the way they were trained back in that day and how they responded to people of color. It was real, so he knew when he was representing his clients, that he knew what they were up against and also some of them were everyday people and he was the Michael Jacksons and the Sean Puffy Combs and all them in between. He was the person that had his finger on the pulse in a lot of different areas.” - Courtney B. Vance on what made Johnny Cochran special. “I think that we’ve got work to do. I mean, when the Oscars are over, we’re still going to have the same amount of work to do on both sides. The academy is starting to do certain things and pressures been brought to bear, but at the same time I think people of color—when somebody is in a movie that’s african american, we should all use those little fingers we have and tell everybody. Let’s make a hundred million dollar movie. Let’s go. Everybody go, because I remember when Malcolm X came out, it should’ve been a million dollar movie and it wasn’t. We need to go and make our movie and put our power in the box office and make sure we go and see our own films. That’s the power. Then they will see how powerful we are and at the same time,in the academy— I’m in the academy, my wife and I are academy voters. 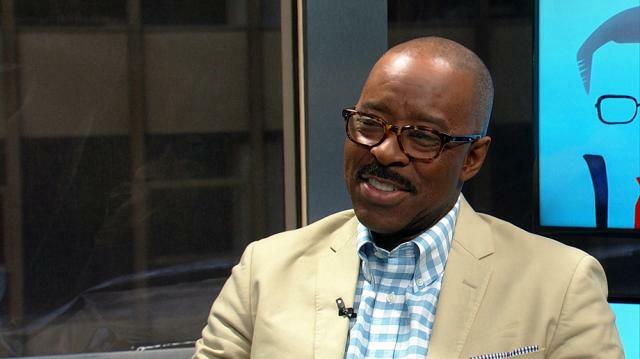 We need to make sure we sponsor new academy members.” - Courtney B. Vance on the Oscars controversy. “A nightmare. An absolute nightmare. Again they’re people. People of color are people. They’re not animals. You would not do that if this was a town in Bloomfield Hills, Michigan, where I went to high school at Country Day. They would test that before they made sure they went out and hadn’t done that. It’s unconscionable….It’s unconscionable and falls right in the governor’s lap.” - Courtney B. Vance on the Flint Michigan tragedy.